In affiliate marketing and with websites in general, we often need to use redirects for various reasons. If you want to learn more about how to use redirects, be sure to read our post on PHP and HTML Redirects. 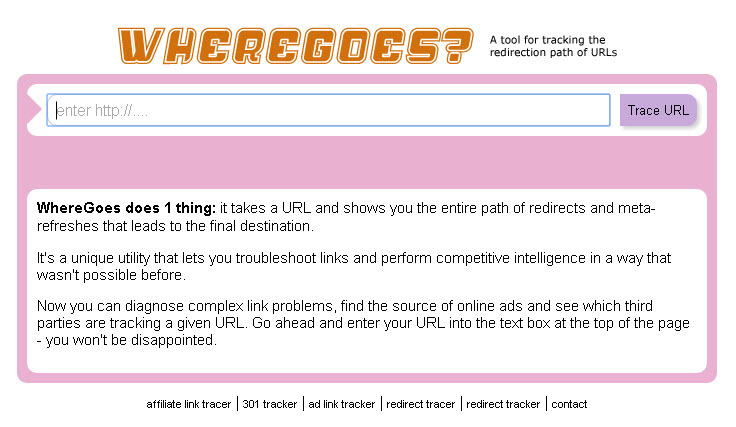 If you want to learn how to follow redirects, this is the place. 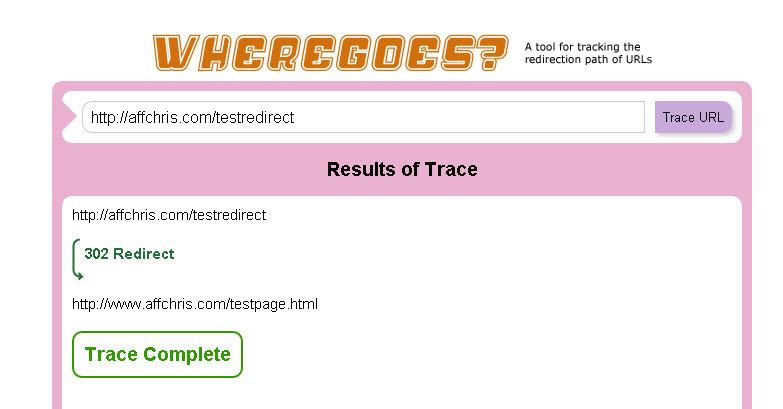 WhereGoes is a website that allows up to trace a url through all of the redirects. Often with affiliate offers, when you click on a link you end up going through several redirects and not just one, WhereGoes allows you to track all of these and it will show you each time you are redirected. Here is a quick demonstration of how to use this tool. Just type in the url that you want to check in the box and click on TraceURL, in this case I will use http://affchris.com/testredirect which I created just to show as an example for this. As you can see it starts with http://affchris.com/testredirect and ends up on http://www.affchris.com/testpage.html. This was a simple 1 hop redirect, but as mentioned above WhereGoes will show you several hops if they exist. Get Camtasia and SnagIt for $20- No Affiliate Links! Expires Aug 1, 2018.